Why are assignments not showing up for my students? You have created an assignment for your students, but it is not showing in the student's assignment list. It is not showing up because the start date for the assignment is a date in the future. The assignments are not released to the student until the start date is the current date. 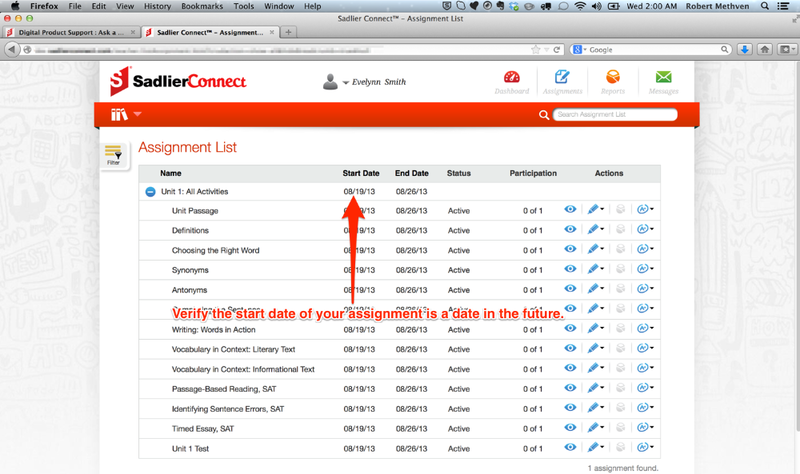 The assignment will show up in the student's assignment list automatically when the start date of the assignment is the current date or later. 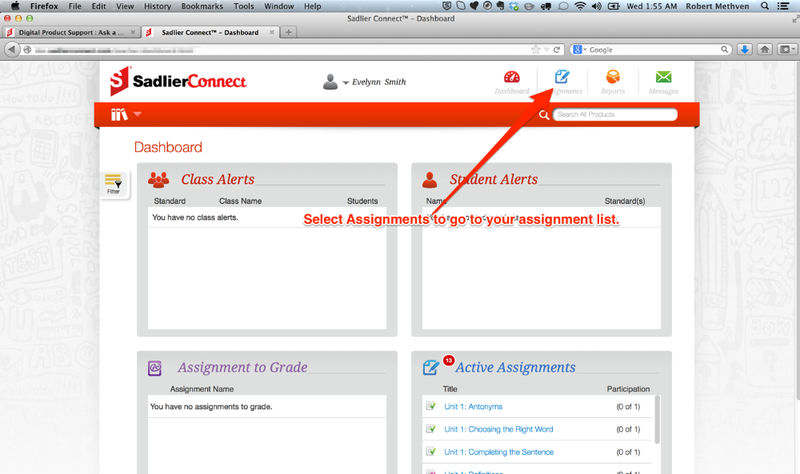 Log in to Sadlier Connect™ with your teacher user name and password. If the assignment date is not in the future, then verify that the assignment has actually been assigned to the student whom the assignment is not being displayed.